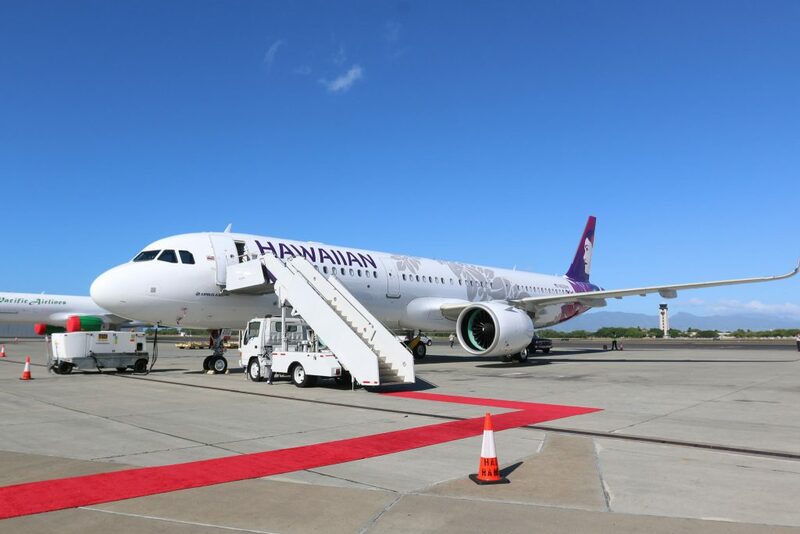 Hawaiian Airlines officially inaugurated the longest domestic route in the United States when the airline’s Airbus A330-200 landed in Boston early Friday morning after a nearly-10-hour trek from Honolulu. 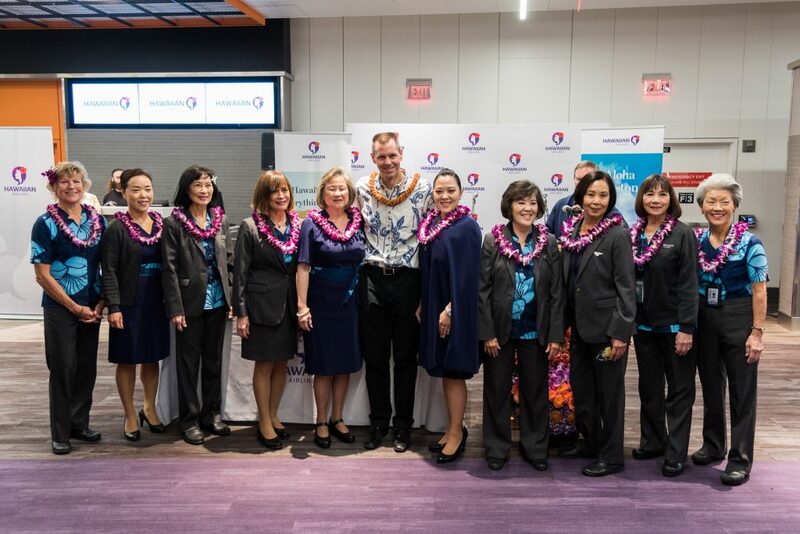 Only its second destination east of the Mississippi, Boston is now the latest and furthest outpost in the Hawaiian Airlines route network with the city gaining its first link to the U.S.’ second westernmost state. 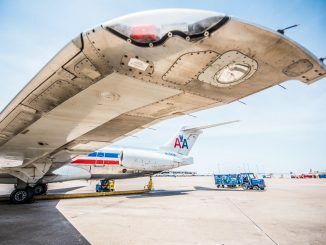 The new 10-hour-15-minute, 5,100-mile nonstop flight departs Honolulu at 1:45 p.m. as HA90 and arrives in Boston the next day at 6:00 a.m. 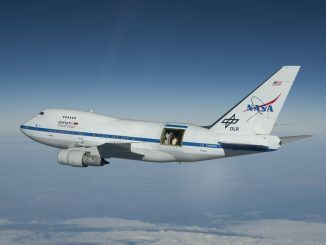 The 11-hour-45-minute return flight, HA89, departs Boston at 8:55 a.m. after only 3 hours on the ground and arrives back in Honolulu the same day 2:35 p.m., except for Fridays where the flight will depart at 8:00 p.m. and arrive at 1:40 p.m.
Hawaiian will operate the route on a five-times-weekly basis until May when the service transitions to six-times-weekly for the peak summer season. 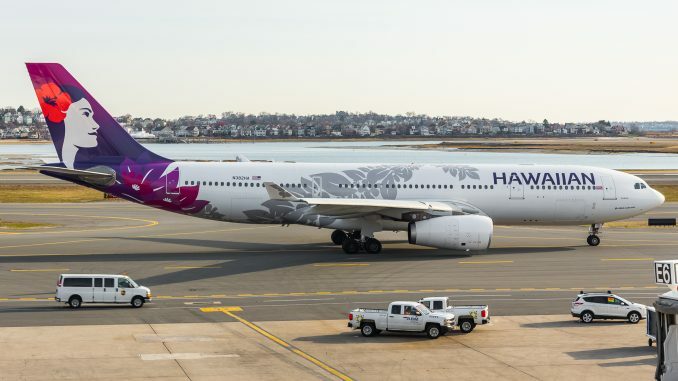 Hawaiian decided on the flight number HA90 to commemorate Hawaiian Airlines’ 90th year of operation and honoring Boston as its latest destination. 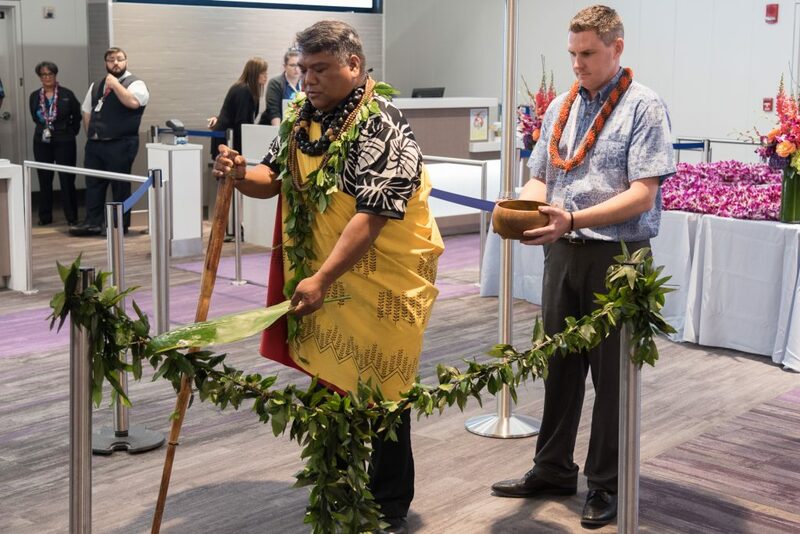 The airline celebrated its historical new service with an event at the gate of the departing HA89 flight on Friday morning. Hawaiian CEO Peter Ingram, JetBlue Airways CEO Robin Hayes and Massport Director of Aviation Ed Freni were all in attendance to celebrate the new flight. 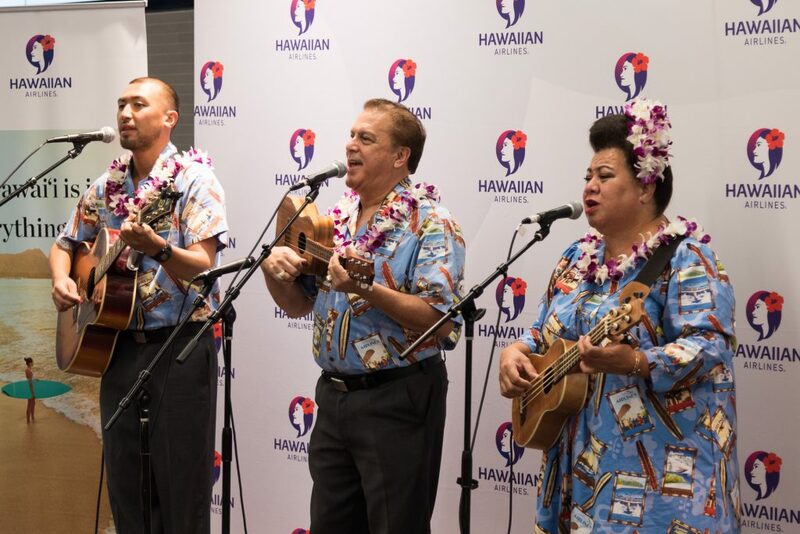 Live Hawaiian music, fresh leis and dancers adorned Gate E5 in Boston Logan International Airport’s Terminal E followed by speeches by the executives. After the speeches, the aircraft was blessed and the westbound leg of the route was officially open. Passengers were then given leis as they boarded their flight to Honolulu. 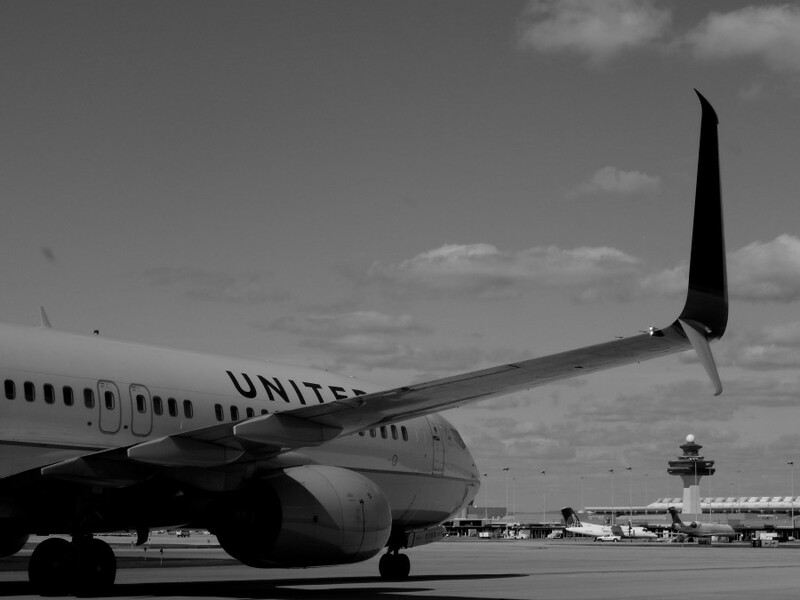 The launch of the service is the culmination of nine years of work for Ingram, who stated that the airline was looking at Boston as early as 2010 and kept the city in mind when New York service was launched in 2012. 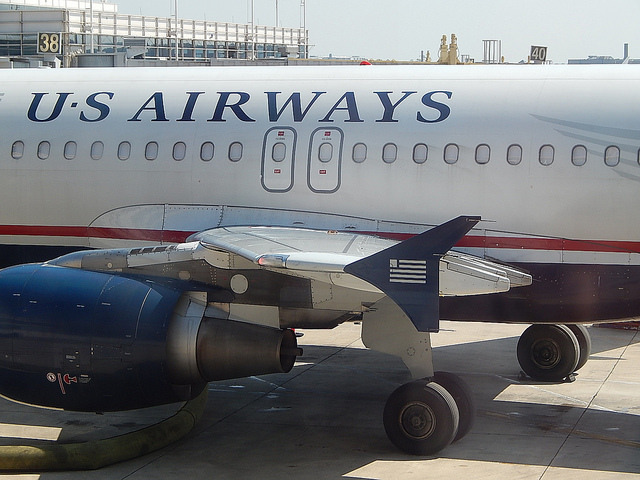 As Ingram alluded to, Boston is merely a 45-minute flight from New York, a hub for codeshare partner JetBlue. While there is a strong overlap in routings between the Boston and New York bases for JetBlue, including to destinations up and down the East Coast, Boston has more connections on JetBlue to inland cities such as Detroit, Cleveland and Pittsburgh that New York doesn’t, opening up those markets to one-stop Hawaii service on JetBlue and Hawaiian. 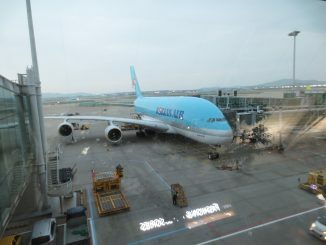 The aircraft used on the routing is Hawaiian Airlines’ flagship long-haul aircraft, the Airbus A330-200. 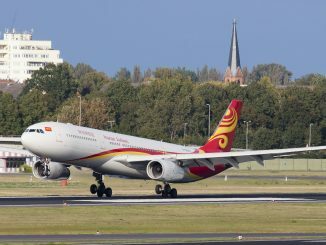 Arranged in a two-class configuration, the A330 seats 278 passengers, split into first class and economy class. 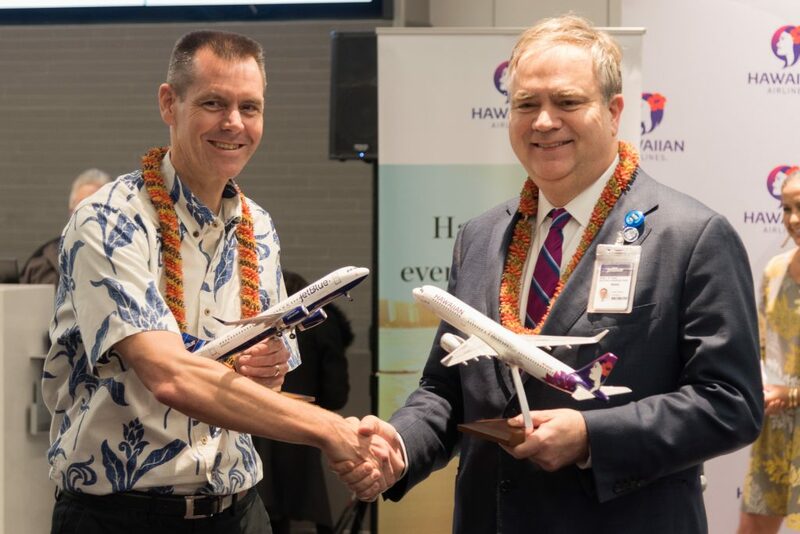 Hawaiian Airlines is amid a fleet refresh as it recently phased out its aging Boeing 767-300ERs and acquired Airbus A321neos for West Coast operations. The first class cabin on the aircraft only takes up 3 rows but consists of 18 lie-flat seats in a paired configuration with seats facing away from each other. Moving back in the aircraft, economy is split into Main Cabin and Extra Comfort sections. 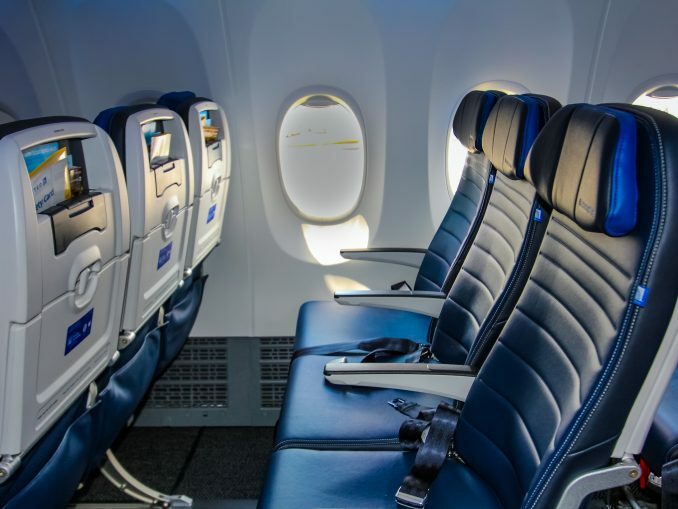 Extra Comfort seats feature 36-inches of pitch and offer enhanced amenities while Main Cabin seats feature 31-inches of pitch; all seats feature 18-inches of width. 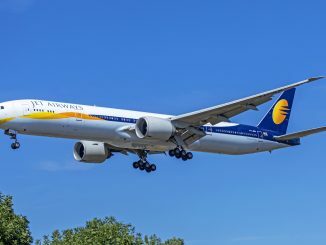 The airline also has 10 Boeing 787-9 Dreamliners on order that will join the fleet in 2021, which the airline chose over the Airbus A330neo for its fleet renewal. Although Hawaiian currently don’t have any finite plans to fly them to Boston, the length of the route makes it ideal for the Dreamliner. Although there are plenty of opportunities for connecting traffic in Boston, the route’s main purpose is to create a direct link between the two cities. Hawaiian did not comment on JetBlue’s rumored Europe service and how that links to launching Boston service. 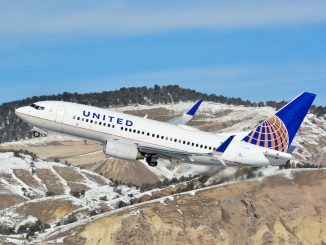 Should JetBlue start flights to Europe from Boston, passengers will have a one-stop connection to Europe through Boston on a Hawaiian and JetBlue ticket.